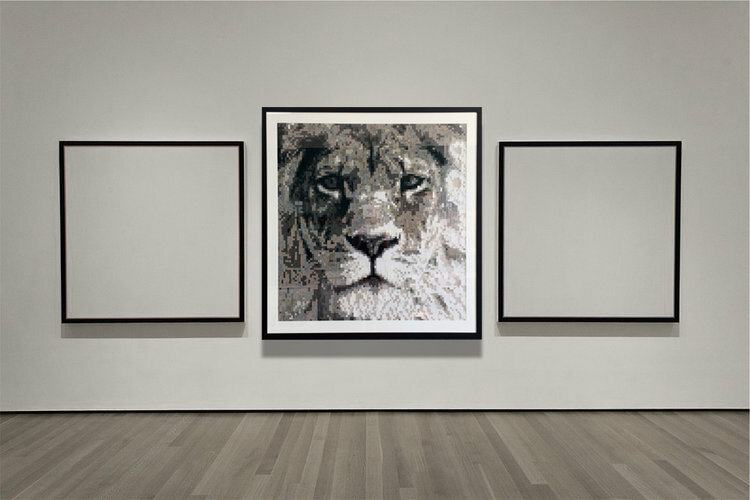 The Lion | Original Sustainable Textile Pixel Artwork | 116cm sq | Professionally framed with 3cm black veneer and white matt board. 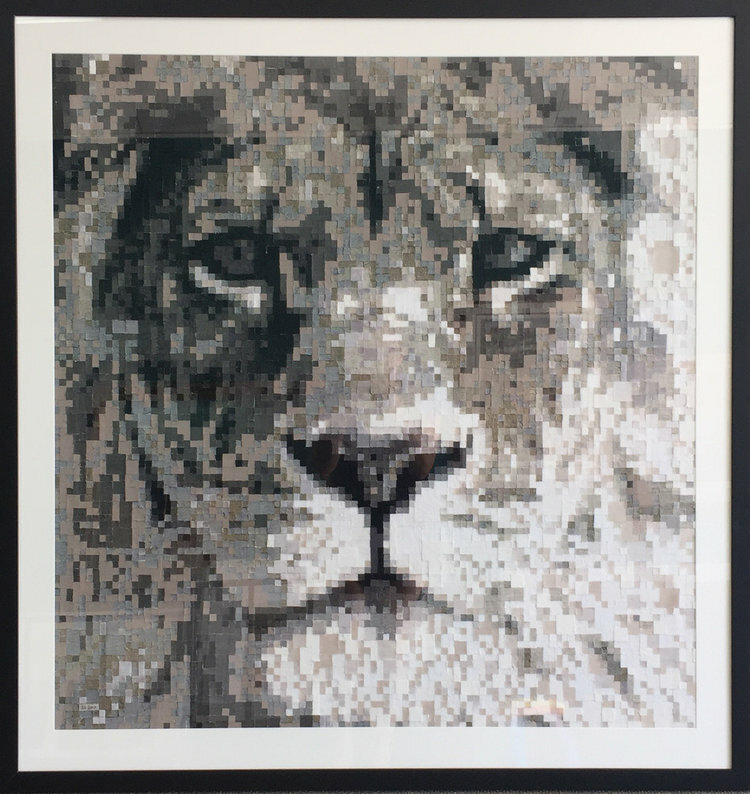 This Artwork has been crafted from around 9,000 squares of fabric pieces. The fabrics include, Silk Dupion, Bamboo Velour, Woven Silk Bamboo, Denim, Satin, Up-cycled Polyester, Organic Cotton Duck.